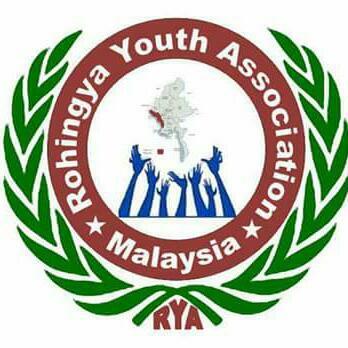 ROHINGYA YOUTH ASSOCIATION: "Update Arakan situation"
Maungdaw township1 July, about 17:30pm: Hundred of military forces rounded-up the Nurula village and took away about 20 villagers. During the operation, the military entered house to house and damaged every household tolls and dishes and then looted golds and cash, beaten women and kids, The source said that except from side walls everything had been damaged by stamping and pounding with guns. 30 July, Kaladan Press report : One of Na-Sa-Ka forces took away Rohingyans on 16 June, Aklas-22 s/o Sayed Ahmed from Moti Fara of Kawar Bill village, was found dead in the filed near the Zambana out-post Nasaka camp on 28 June. 30 June: Some of about 20 Rohingya villagers of Mingalagyi (Feirumfur) village were released by payment one to three millions Kyat after brutally tortured a week in Na-Sa-Ka custody. The authority also informed that there will be another raid on coming Friday. Kyauktaw township30 June, 10:00am: Four Rohingyans who went for fishing from Nidan village, were surrounded in the middle of Kaladan River by a group of Rakhines and picked them away. A member of Ethnic Rohingya Community-ERC based in Malaysia and who is also relative of the four victims confirmed today that they were not returned nor handed over to authority. The victims are identified as Shakir, Mabu, Hussin and son of Zyabul. Rakhine people are subsequently entered into the Rohingya villages in the present of security forces and chanting to cleans the villages during night. Sittwe townshipMissing report of 1July: A staff of a French NGO (Artsen Zonder Grenzen-AZG) and former political prisoner- Kyaw Hla Aung (B.A LLB), nominee MP of Rohingya party-NDPHR for Sittwe during 1990, was arrested from Ye Nwe Su (Derum fara) quarter with false charges since 4 June and taken to unknown. It is confirmed that now he is neither in the custody nor prison. But according to Yangon Press International's report the arrest was in the morning of 11 June. His first term arrest was took placed in a few days before 1990 election in May therefore he was not became MP. He was released in the end of 1997 after serving eight years imprisonment.